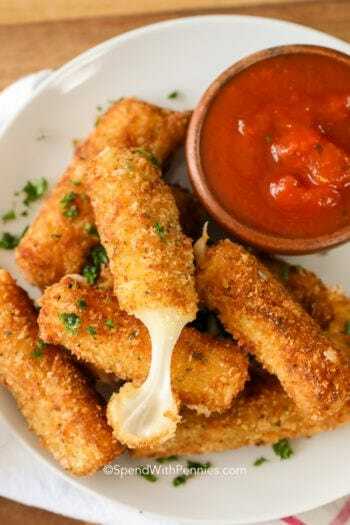 Cheese sticks (and zucchini sticks) have to be my favorite appetizers… ever! These are amazing! 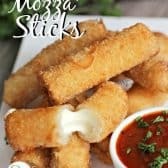 Crispy crunchy egg roll wrappers filled with ooey gooey mozzarella cheese!! 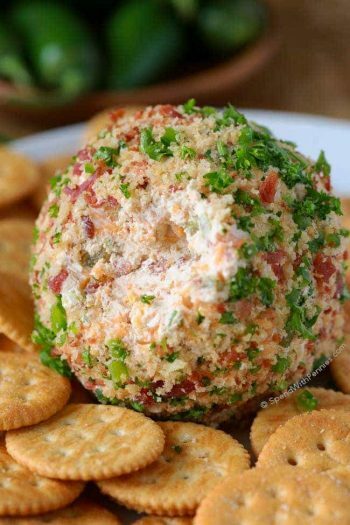 These are super simple to make and literally take just a minute or two to cook up! 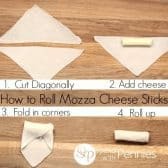 When rolling them up, make sure they are sealed so the cheese doesn’t leak out! We love to serve them with a bow of our favorite marinara sauce. 8 egg roll wrappers 6"x6"
Cut each egg roll wrapper in half diagonally. Cut each cheese string in half. 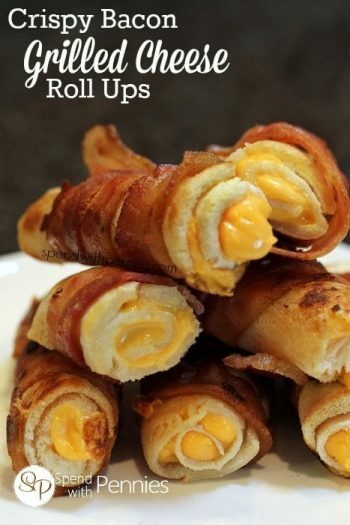 Place a cheese string on each wrapper, fold in corners and roll tightly sealing the edges with water. 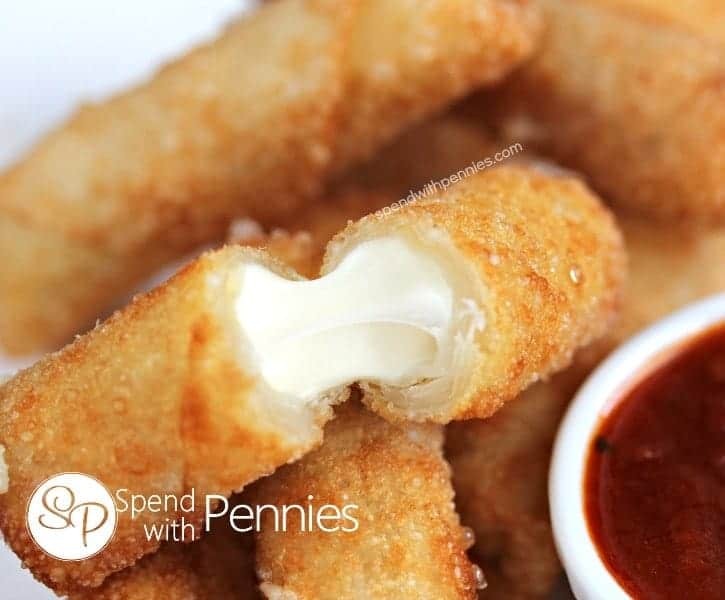 Place each cheese stick in the hot oil for about 2-3 minutes or until brown and crispy. Note: Cheese will be very HOT inside. 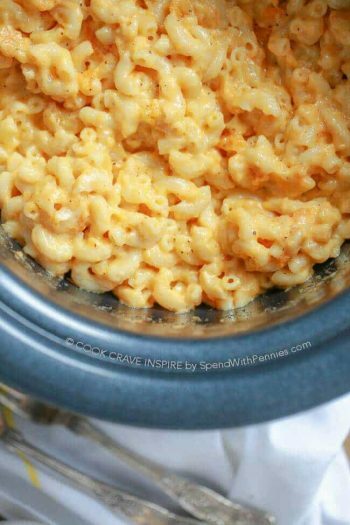 Melted cheese can be a choking hazard for young children.